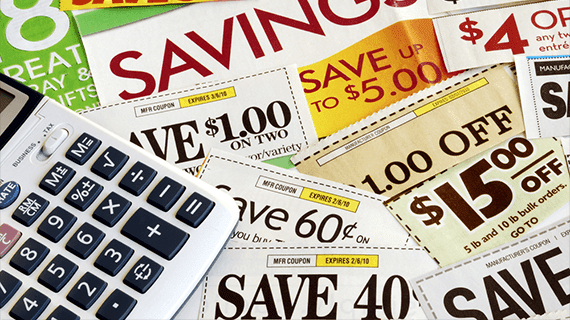 There are many free websites online today that can help you find bargains and save money. A lot of these sites are run by companies, passionate deal hunters, or both. If you're looking to find the best prices online, or connect with other deal hunting fanatics, these sites are for you. These seven sites were selected from hundreds of similar sites and are either the best of their kind, or offer a unique or special service. If you should know about any one deal site, you should know about Fat Wallet. The reason why Fat Wallet is better than most other deal sites is because of its community. The Fat Wallet forum is populated by over 500,000 of the most savvy and passionate deal hunters around. You won't find a community of that size and quality very easily online. So check out the Fat Wallet forum's hot deal section and browse around. Fat Wallet also has a coupon / cash back section which has some deals, but the forum is really where all of the best deals are. Deals Plus is another great community driven money saving site that has an unusual but memorable domain name. Each of the deals on Deals Plus are submitted by its users. The interesting thing about Deals Plus is that it has a lot of features similar to a social network. You can add friends to your profile, send messages to other users, and comment on different products with other members. These features can't be found on many deal sites, making Deals Plus a unique social network for deal hunters. The good news though is that you don't have to be an active participant in the social networking aspect of the site to take advantage of the deals. All of the deals on Deals Plus are accessible to anyone that visits the site. Deal News' main strength is the sheer volume of deals posted on their site. There are many sites like Deal News, but none come close to Deal News in terms of size. Each day, Deal News posts hundreds of deals to their site which you can keep track of by subscribing to their RSS feed or newsletter. Deal news also has a forum, but it isn't quite as large or active as other deal sites. Again, the main benefit of Deal News is the large number of deals they post every day. Woot is an online store with a business model different than most. It only sells one product per day at a reduced price. Each day, a new product is offered until it is sold out. Some days, Woot sells mystery bags for $5 dollars a piece which can contain just about anything. Woot also has two subsites: Woot Wine ( wine.woot.com ) and Woot Shirt ( shirt.woot.com). Slick Deals is a site very similar to Fat Wallet, where there is a large emphasis on the community forums. The forum on Slick Deals has over 300,000 members and over 11,000,000 posts. The forum is very actively updated with hot deals, freebie deals, coupon deals, and contests by some of the internet's most passionate deal hunters. One advantage of the Slick Deals forum over the Fat Wallet forum is that each Slick Deals thread is categorized, making deal browsing a lot easier. Mint is a free financial tracking service that can help beginners and personal finance geeks handle their finances more easily. After signing up for a Mint account, you can add the checking, credit, investing, and savings accounts you want to keep track of. Mint allows you to see where your money goes in real time and makes budgeting a breeze. Mint also makes use of simple graphs and charts to make it easier for you to visualize where your money goes. Some of Mint's newer features include local spending comparisons where you can compare your spending habits to others in your area. It's a wonder they offer this service for free and is certainly something to check out. Dealighted is a website that aggregates the best deals from many different deal sites. Dealighted also allows users to submit deals, which increases the number of deals on their site. The reason why Dealighted is a useful site is because it puts the best deals in one place so you don't have to scrounge around on multiple sites.